Victorinox Swiss Army has long been known for their reliable Army knives, as well as their precision timepieces. The Swiss Army name is synonymous with quality and authenticity. The company, founded in 1897 has never lost site of dedication to excellence. Earlier this year Victorinox Swiss Army showed off a bit of their competitive side at the International Consumers Electronic Show, held in Las Vegas, Nevada. Offering a $100,000 Grand prize to anyone who could crack the code to their data encryption and fingerprint technology, Victorinox demonstrated their confidence. 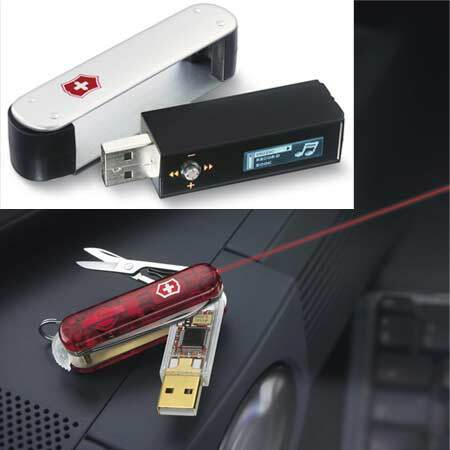 The innovative technology is present in two of the companies USB flash drives, joining the Victorinox Presentation Master and Victorinox Secure. The contest was open to all attendees, for the entire four days of the show. Over 45 attempts were made to breach this security system and each person was given up to two hours to try. The challenge drew all sorts of attention, from gadget enthusiasts, journalists, analysts, and even security professionals from around the country. Needless to say, their confidence was justified…the code wasn’t cracked, and Victorinox held on to their $100,000. Better luck next year.